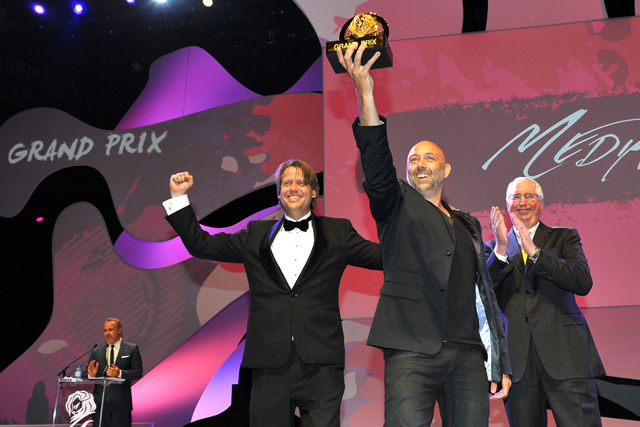 The parties and awards were in full swing on day three of the Cannes Lions International Festival of Creativity. Here are Tuesday's highlights from our live blog. Cannes nightlife heated up further with sophisticated events like Ogilvy Asia’s ‘Young Suits’ welcome dinner, and less sophisticated ones like this soirée attended by the BETC ladies. There was also LinkedIn’s swanky party on a yacht. Recognising the potential of the huge Chinese ad market Cannes Lions added a full-day programme on China to this year's festival, which took place yesterday. About time, in the opinion of the editors of Campaign Asia-Pacific. As the awards continued, so did the celebrations. Frank PR put up this Vine to commemorate their PR Lions win, while Tuesday night’s Media Lion awards – where Ogilvy won the Grand Prix – was the most talked-about ceremony. We spoke to game visionary Jane McGonigal on how video games can change the world, and learnt how this has changed the way PHD work from the agency's worldwide strategy and planning director Mark Holden. Another day, another set of shortlists, such as the nominations for the Cyber Lions awards. The number of UK radio entries fell compared to last year, with 12 campaigns making the list. The Eurosport Beach Soccer tournament kicked off, with fierce competition (although it later turned out that the UK team was a no-show). The first of our blogs from Cannes virgin Mike Nicholson, Loaf & Egg’s founder, provided a fresh perspective on the festival. For those roaming the streets in search of food after the parties or Gutter Bar, help was at hand in the form of free pizza from Deutsch LA scooters. Vivienne Westwood's seminar on telling stories inspired many of you, while we began a video series asking ad folks to tell us why they are in Cannes. For those stuck back in their offices, our guide to the day’s activities at Cannt Festival, the anti-Cannes event back in London, offered some relief.